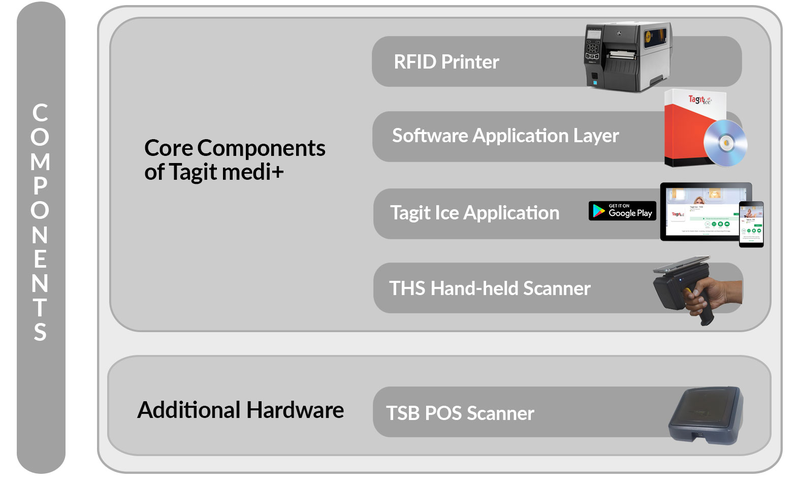 Tagit Medi+ is a solution to manage your inventory at your warehouse and inventory given on consignment to the hospitals. Every item has an RFID tag which is scanned extremely fast with an RFID handheld. This reduces the time taken in counting, without physically touching any items. 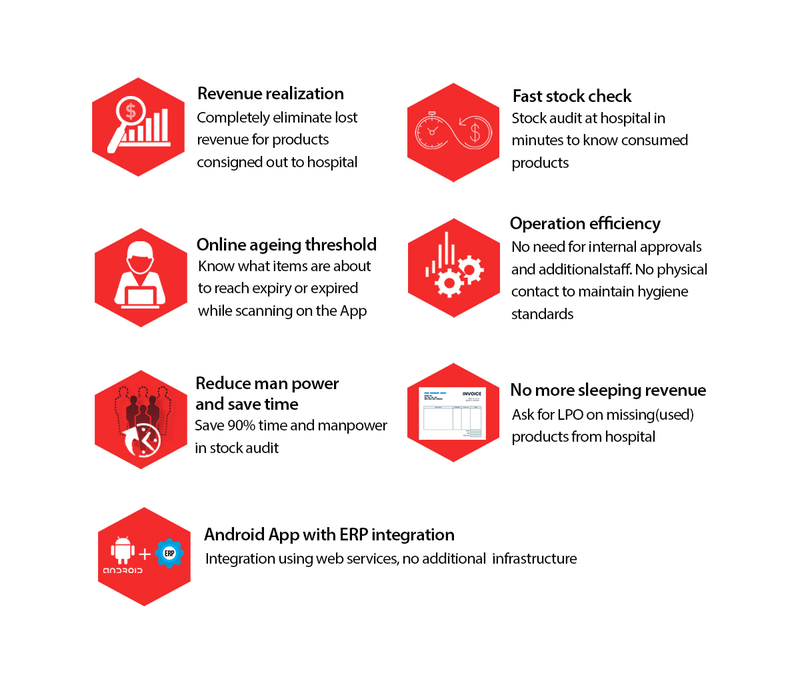 The solution integrates with your ERP and is powered with an android app for hospital audits. 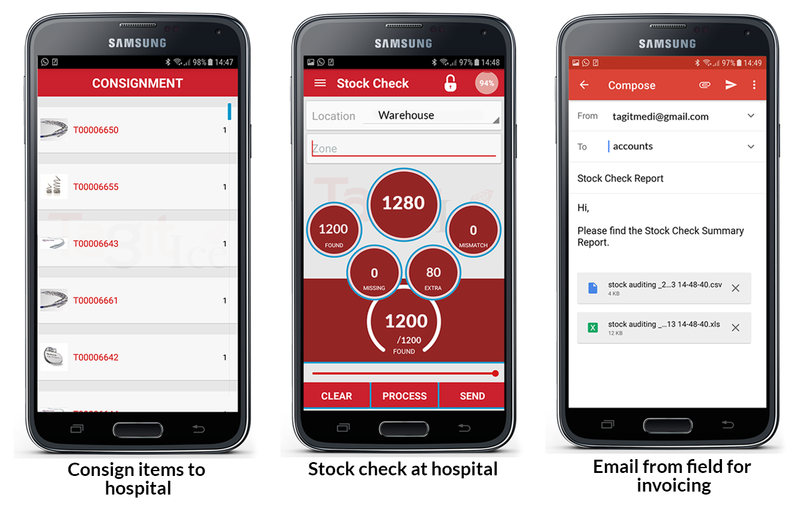 This allows for quick invoicing on consumed products and stock visibility at the warehouse. RFID is the use of radio waves to read and capture information stored on a tag attached to an object. A tag can be read from up to several feet away and does not need to be within direct line-of-sight of the reader to be tracked. How does Tagit medi+ Work? Leading RFID based solution provider across 16 countries with 20 different solutions for 15 industries. More than 1000 successful deployments globally.